That the Gilbane Group launched its Enterprise Search Practice this year was timely. In 2007 enterprise search become a distinct market force, capped off with Microsoft announcing in November that it has definitively joined the market. Since Jan. 1, 2007, I have tried to bring attention to those issues that inform buyers and users about search technology. My intent has been to make it easier for those selecting a search tool while helping them to get a highly satisfactory result with minimal surprises. Playing coach and lead champion while clarifying options within enterprise search is a role I embrace. It is fitting then, that I wrap up this year with more insights gained from Gilbane Boston; these were not previously highlighted and relate to semantic search. The semantic Web is a concept introduced almost ten years ago reflecting a vision of how the Worldwide Web (WWW) would evolve. In the beginning we needed a specific address (URL) to get to individual Web sites. Some of these had their own search engines while others were just pages of content we scrolled through or jumped through from link to link. Internet search engines like Alta Vista and Northern Light searched limited parts of the WWW. Then, Yahoo and Google came to provide much broader coverage of all “free” content. While popular search engines provided various categorizing, taxonomy navigation, keyword and advanced searching options, you had to know the terminology that content pages contained to find what you meant to retrieve. If your terms were not explicitly in the content, pages with synonymous or related meaning were not found. The semantic Web vision was to “understand” your inquiry intent and return meaningful results through its semantic algorithms. 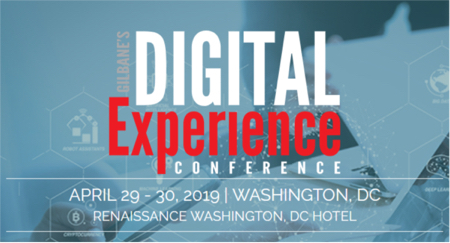 The most recent Gilbane Boston conference featured presentations of commercial applications of various semantic search technologies that are contributing to enterprise search solutions. A few high level points gleaned from speakers on analytic and semantic technologies follow. Jordan Frank on blogs and wikis in enterprises articulated how they add context by tying content to people and other information like time. Human commentary is a significant content “contextualizer,” my term, not his. Steve Cohen and Matt Kodama co-presented an application using technology (interpretive algorithms integrated with search) to elicit meaning from erratic and linguistically difficult (e.g. Arabic, Chinese) text in the global soup of content. Gary Carlson gave us understanding of how subject matter expertise contributes substantively to building terminology frameworks (aka “taxonomies”) that are particularly meaningful within a unique knowledge community. Mike Moran helped us see how semantically improved search results can really improve the bottom line in the business sense in both his presentation and later in his blog, a follow-up to a question I posed during the session. Colin Britton described the value of semantic search to harvest and correlate data from highly disparate data sources needed to do criminal background checks. Kate Noerr explained the use of federating technologies to integrate search results in numerous scenarios, all significant and distinct ways to create semantic order (i.e. meaning) out of search results chaos. Bruce Molloy energized the late sessions with his description of how non-techies can create intelligent agents to find and feed colleagues relevant information by searching in the background in ways that go far beyond the typical keyword search. Finally, Sean Martin and John Stone co-presented an approach to computational data gathering and integrating the results in an analyzed and insightful format that reveals knowledge about the data, not previously understood. Points taken are that each example represents a building block of the semantic retrieval framework we will encounter on the Web and within the enterprise. The semantic Web will not magically appear as a finished interface or product but it will become richer in how and what it helps us find. Similar evolutions will happen in the enterprise with a different focus, providing smarter paths for operating within business units. There is much more to pass along in 2008 and I plan to continue with new topics relating to contextual analysis, the value, use and building of taxonomies, and the variety of applications of enterprise search tools. As for 2007, it’s a wrap.